One of the best things to do in Maui is to catch the first light as it rises over Haleakala Summit, which stands at 10,023 feet above sea level. Mount Haleakala, or the East Maui Volcano, is a dormant volcano that covers 75% of the island of Maui. In Hawaiian myth, Haleakala translates to “House of the Sun” and Haleakala crater is the home of the demigod Maui’s grandmother, who taught the young Maui how to capture the sun in order to make the mornings longer. Today, Haleakala National Park is the only place where the endangered Haleakala 'ahinahina (silversword) plant can be found. Learn more about the historical and cultural significance of magnificent Haleakala on this guided Maui sunrise tour. Did you know that you can bike down the huge slopes of mount Haleakala? If you are looking for other Maui adventures, Haleakala downhill biking is a nice and fun way to experiment, with gorgeous view of Maui. Your adventure bike tour usually starts at Haleakala National Park Entrance. The complete ride is 26 miles, which is one of the longest downhill rides in the world. Check out other popular Maui attraction for Haleakala Bike Downhill Tour. → Click here. There are short rides or combo with Haleakala Sunrise Tour. You can book a maximum of 44. Experience a wonderful, once-in-a-lifetime opportunity to watch the sunrise from the summit of Mount Haleakala, complete with a guided narrative of the history and myth surrounding this dormant volcano named "The House of the Sun." Kula in Maui is an upcountry town located on the slopes of Mt. Haleakala and is known for farming and botanical gardens. Since they have rich volcanic soil around this region, Kula became the center of a regional culinary resurgence with popular Maui restaurants emerging in the area. 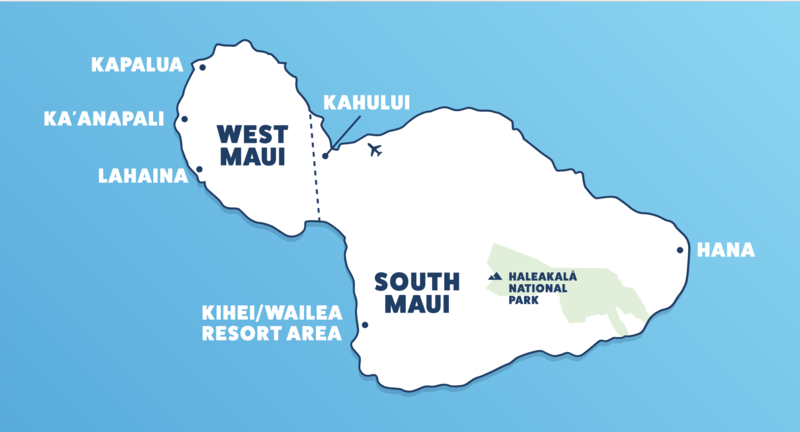 Pick-up only from Ka'anapali, Kapalua, and Lahaina area. For wheelchair accessibility, please call to inquire at least 48 hours in advance. Guests may not scuba dive within 24 hours of the tour. Smoking is not allowed while on the tour. The weather at the summit of Haleakala is unpredictable and changes rapidly. Temperatures commonly range between 40°and 65°F, but can be below freezing at anytime of year with wind chill. Wear lightweight, layered clothing that will keep you warm even in wet weather, and sturdy, comfortable shoes. What is the breakfast menu at Kula Lodge? #1 Sunrise Classic - Maui Fresh Eggs (scrambled or over easy) with Bacon, Ham, or Portuguese Sausage served with cottage fries and toast. #2 Kula Lodge Vegetable Omelet - 3 Egg Omelet with fresh spinach, tomatoes, and feta cheese. #3 Buttermilk Griddle Pancakes - served with butter, coconut syrup and maple syrup. #4 Malted Belgian Waffle - topped with fresh strawberries, cream cheese, butter, and powdered sugar. #5 Upcountry French Toast - Cinnamon raisin bread dipped in a honey-egg-cream batter served with butter, coconut syrup and maple syrup. #6 Kula Lodge Tropical Fruit Salad - with Kula strawberries, banana, pineapple, papaya, and vanilla yogurt. Each option comes with a choice of Maui blend coffee, hot chocolate, or Tazo hot tea. *Vegetarian, gluten-free, and light options are available. What language is the tour available? This Maui Haleakala sunrise tour itself is in English, but you can download Skyline Hawaii’s exclusive Haleakala National Park Interpretive App before your tour start. The tour App will be available in English, Portuguese, Spanish, French, German, Mandarin, Japanese, Korean, and Hawaiian. A sweatshirt and long pants are recommended to wear, also something will keep you warm. Haleakala weather could be very cold around Haleakala summit at 10,000 ft. For the sunrise time, the temperature can get into 30℉(-1℃) and daytime will be 60℉(15℃). Jackets and gloves are provided for you to use while on the tour.